US President Donald Trump has said territory held by the Islamic State group in Syria and Iraq could be "100%" liberated as early as next week. "It should be announced, probably some time next week, that we will have 100% of the caliphate," he told a gathering of coalition partners. However, he also cautioned that he wanted to "wait for the official word". "Their land is gone," he told Wednesday's conference in Washington. 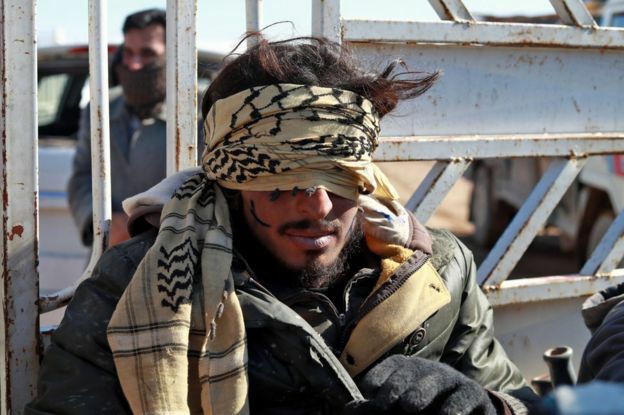 "The Isis [IS] caliphate has been decimated." But the group still had "tiny sections that can be so dangerous", he said, and "foreign fighters must not gain access" to the US. "For a period of time they used the internet better than we did," he said. "They used the internet brilliantly but now it's not so brilliant." The US leader thanked coalition partners, saying, "We will be working together for many years to come." He called the troop pullout a "tactical change... not a change in the mission", and said the world was entering an "era of decentralised jihad". 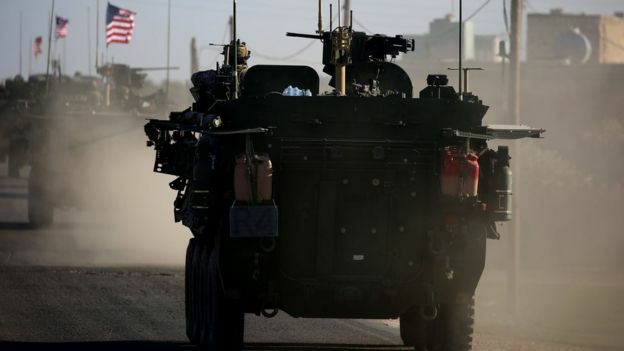 On Tuesday the head of the US military's Central Command, Gen Joseph Votel, told a Senate committee up to 1,500 IS militants remained in a 20 sq mile (52 sq km) pocket on Syria's border with Iraq. The group, he said, still had "leaders, fighters, facilitators, resources and the profane ideology that fuels their efforts". Meanwhile, a report by a US defence department watchdog cited Central Command as saying that without sustained pressure IS "could likely resurge in Syria within six to 12 months". President Trump's comments were more than a month late, as he did not consult his allies about his decision in December to withdraw US troops from Syria. The shock from the surprise announcement has settled, but coalition members want to know how this is going to play out. It's not clear that the administration has sorted that out. Both Mr Trump and Mike Pompeo called on other nations to take on more commitments for the continued campaign against the IS group, but said they were still in the fight - America would continue to lead it, Mr Pompeo said. 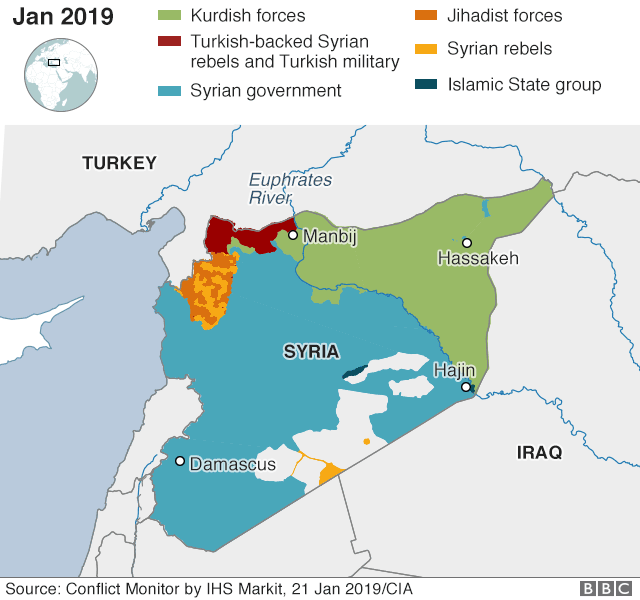 But there are still no official details about how the US will continue the counter-terrorism pressure Mr Trump's generals and intelligence officials have said is necessary to stop IS militants from staging a comeback.